Agriculture has got an unprecedented 144% rise in allocation in the interim budget announced by the Bharatiya Janata Party (BJP) government–from Rs 57,600 crore in the 2018-19 budget estimates to Rs 1,40,764 crore in the interim budget. However, this unprecedented hike in allocation will be inadequate to fight the ongoing agricultural crisis that has led to widespread farm agitations in India. Our analysis of the budget allocation for the sector shows that the amount provisioned for various agricultural schemes, such as the critical irrigation mission, is inadequate. The new income security scheme is short-sighted and inadequate, providing eligible farmers just Rs 500 per month or Rs 3.5 per person per day (considering a household size of five)–not enough to buy a cup of tea, as has been pointed out. It also offers less effective coverage than the Odisha and Telangana income support schemes whose success inspired it. Agriculture faced two drought years in succession–2014-15 and 2015-16–when the average growth in the sector was just 0.1% per annum. Data show that over these years the ratio of allocation for this sector to gross domestic product (GDP) remained in the range of 0.3 to 0.4% during 2014-15 and 2018-19. Inadequate public investment also ended up discouraging private investment in agriculture. Between 2014-15 and 2016-17, the private sector investment to GDP ratio came down from 2.2% to 1.8% which led to an overall decline in investment–from 2.6% to 2.1%. This added to the rural crisis and agrarian distress. We welcome feedback. Please write to respond@indiaspend.org. We reserve the right to edit responses for language and grammar. 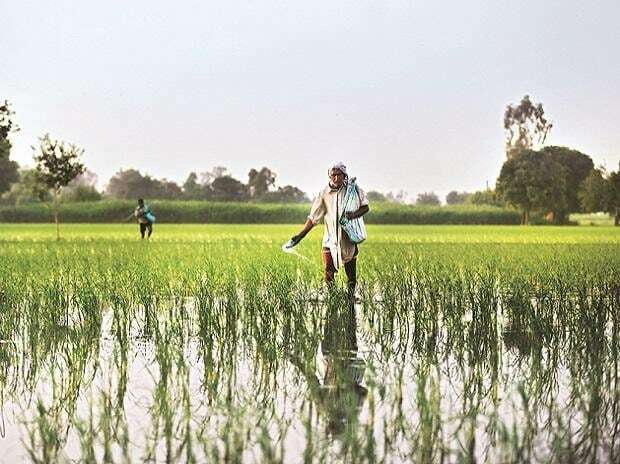 New Delhi: Agriculture has got an unprecedented 144% rise in allocation in the interim budget announced by the Bharatiya Janata Party (BJP) government–from Rs 57,600 crore in the 2018-19 budget estimates to Rs 1,40,764 crore in the interim budget. (Acharya is the research coordinator at the Centre for Budget and Governance Accountability.) Republished with permission from IndiaSpend. You can read the original article here.